Energy, economics, environment, and education are the “4 E’s” Jonathan Hondorf wants to emphasize in his campaign for the upcoming City Council elections. Hondorf says he believes in the importance of the community, being involved, and looking at the job of councilperson from a small business perspective. 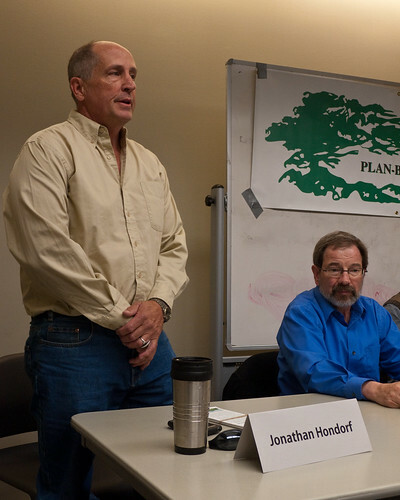 Hondorf has lived in Boulder for 38 years and has served on the Board of Zoning Adjustments for six years. Working on the board, he has gained broad experience and knowledge dealing with what works and what doesn’t work with the ordinances that currently exist. His community service, especially when it comes to the work he has done with kids, gives him an advantage over the candidates who have not volunteered their time like he has. Hondorf says leaders should be setting the example not commanding or ordering people to do it. He says social issues are important but we have to look at the business side of it to understand the bigger picture. Many of the candidates running against Hondorf work for the government, the university or other large corporations where they might not see the challenges that every day people are facing. These things put Hondorf closer to what’s important, what the council should be doing and what the council should bring to the city. “I want to make sure before we go and pass every social agenda or feel good topic that we aren’t promoting an ordinance with good intentions that create bad results,” said Hondorf. In the past few years he says they have passed ordinances that are in direct conflict with each other and it’s important to be planning long term and not just for the moment. Maintaining the quality of life is important to Hondorf and he says the hardest thing about doing so is that it is all “intrinsically interconnected.” People love Boulder, but those who love the environment often forget about the builders who built the city they live in. Open space funding comes from sales tax, sales tax comes from businesses selling things, so really open space needs business and business needs open space because people come here for that. “A healthy stable economy, the environment and social issues all have to be equal or you will have a wobbling stool where things are off balance,” said Hondorf. There is an accumulation of many things Hondorf says he loves most about this town. Especially that the environment around Boulder brings a diverse crowd from all different walks of life and from all over the world. With a mixture of scientists and artists, environmentalists and developers he wants to try to bridge the gap between the diversity.